I found Yellow Cat Design to be very attentive to the unique needs of my business. The collaboration has generated a professional looking website that suits my business requirements and feels very personal at the same time. The service was very good, and efficient. Yellow Cat Design were responsive to my needs and met my deadlines. I have ended up with a website and printed advertising material of high quality, for a very reasonable outlay. I will definitely be recommending the service to others. 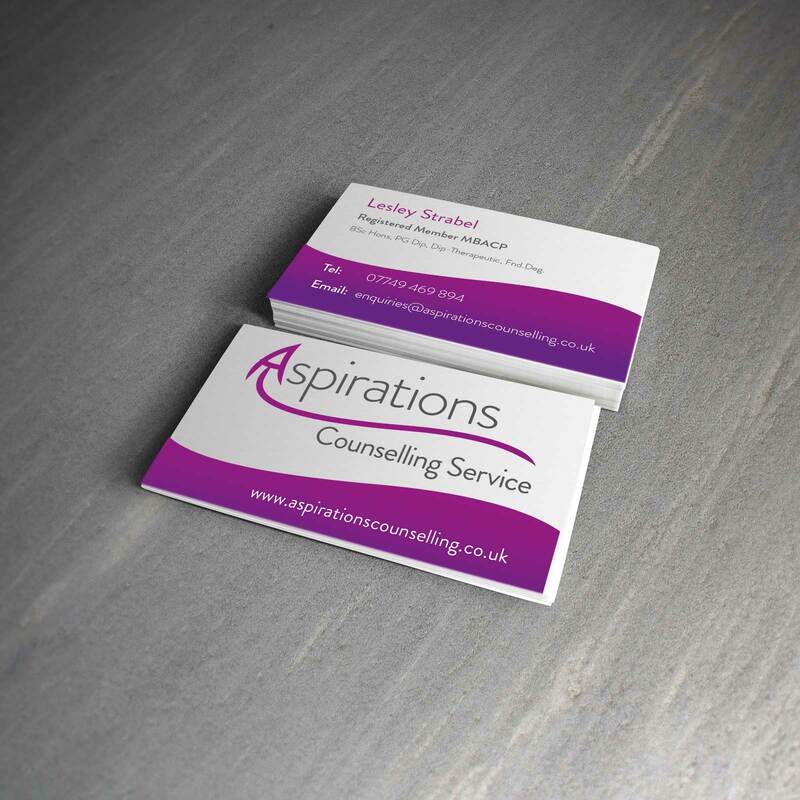 Created a new, fresh identity for Aspirations Counselling Service. 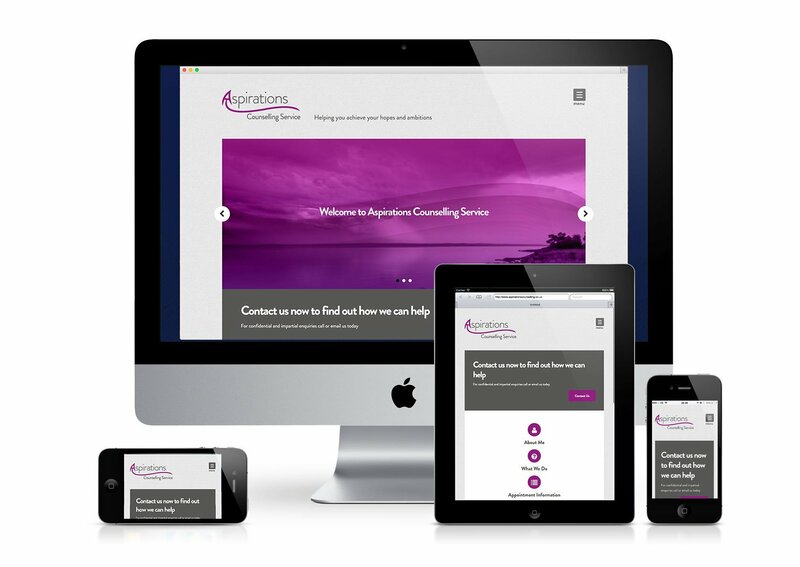 We wanted to create a brand that was modern and professional but also maintained a friendly and approachable tone. 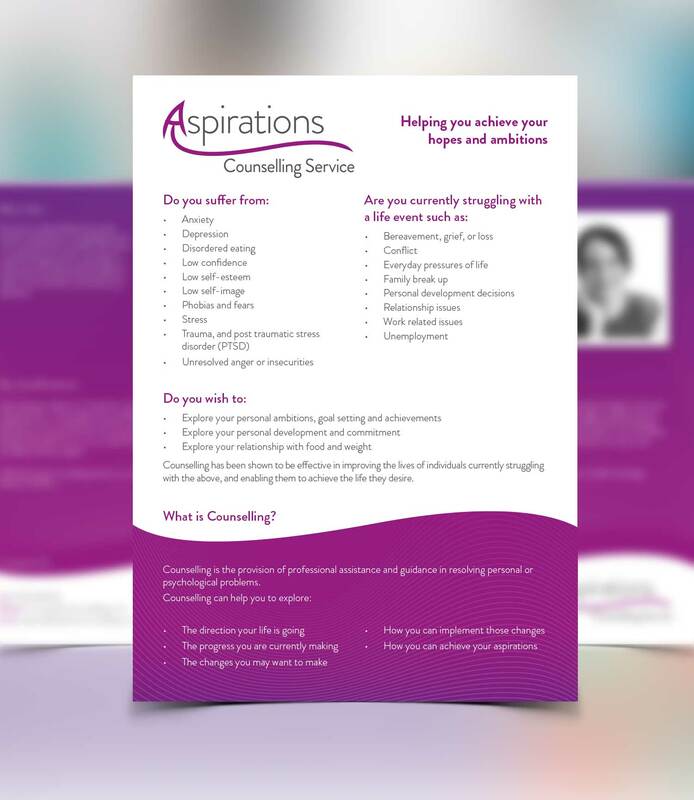 This identity had to work well on a range of channels from traditional print items such as flyers and business cards to a modern, full responsive website that we also designed and built.